NIV Pharmacy system focus on providing better care to your patients that allows a pharmacy to process, track, and dispense all prescriptions with the highest level of security, accuracy, and efficiency NIV Pharmacy system meets the end-to-end operational requirements to provide diverse pharmacy services. This software minimize the infrastructure outlay and provides maximum support. 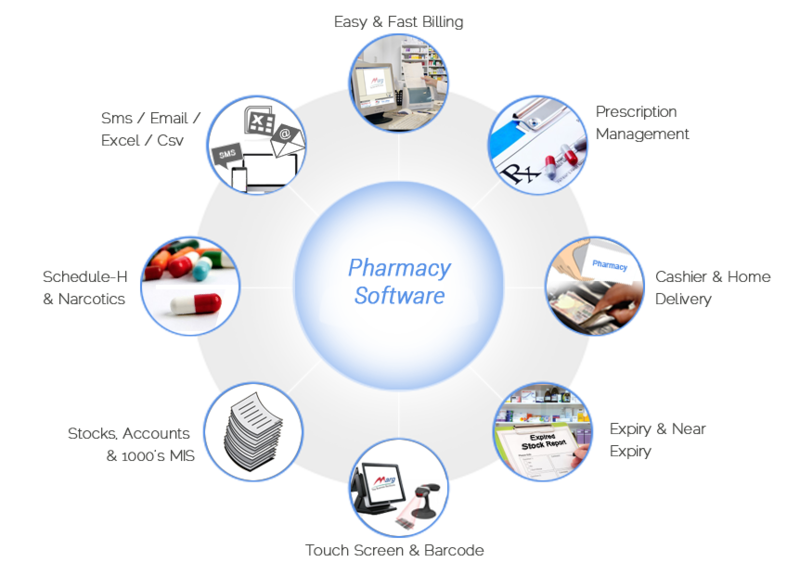 It is Flexible and adaptive software which can suit medical shops or pharmacies of any size.